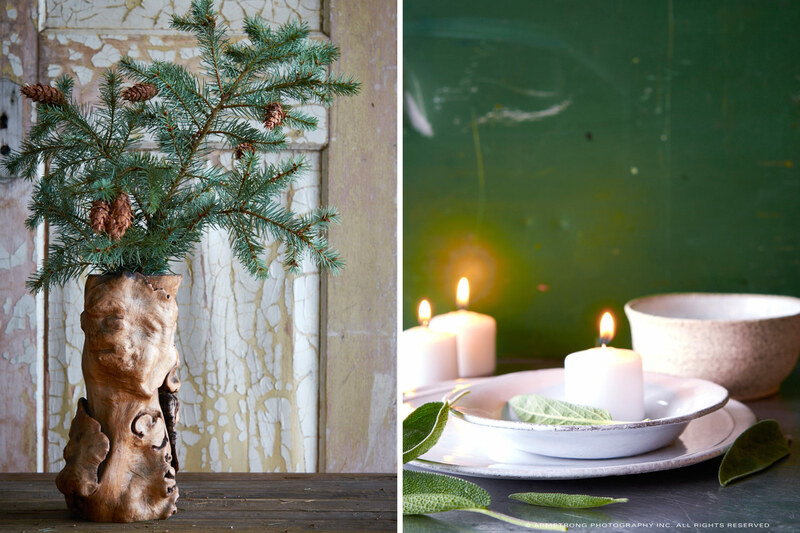 Christmas is not all about glitz and twinkle, some actually like antiques, worn till soft linen and the sent of fresh greens and fires–low key, intentionally of course. 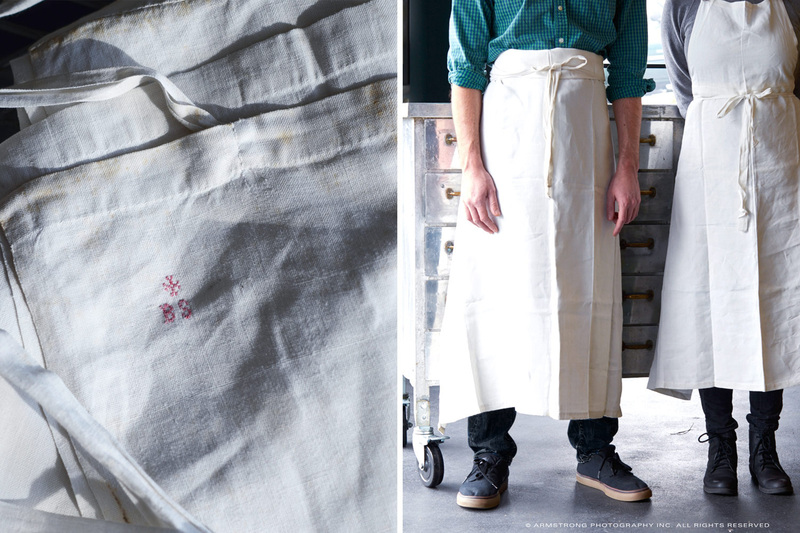 The lovely antique linen aprons were found in the gift shop of the Chateau Vaux-le-vicomte, amazingly they had hundreds for sale! Evidently over the hundreds of years the chateau was in full swing, they needed to have fresh aprons every day for hundreds of servants. 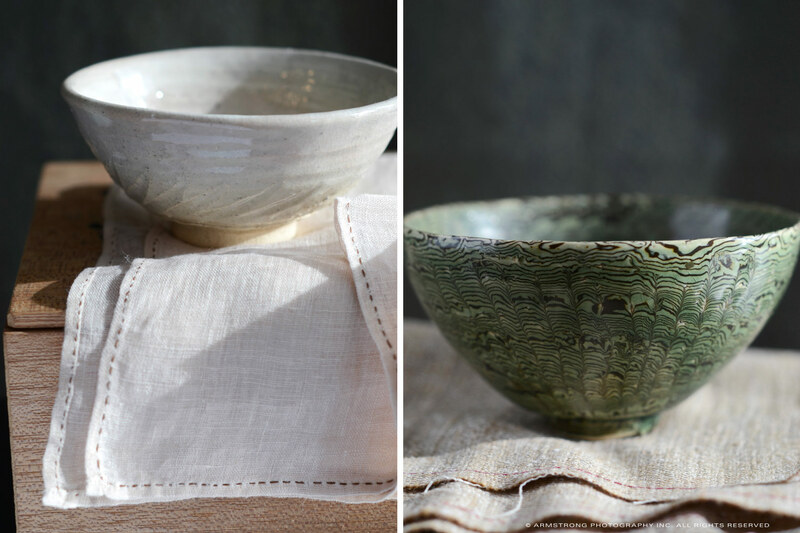 More lovely bowls and a wooden vase from the bi-annual Kyoto Arts and Antiques sale. 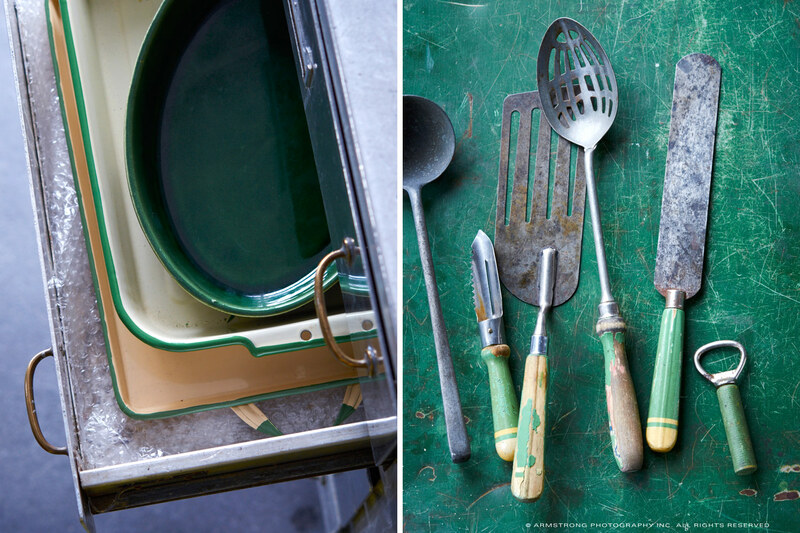 Kitchenware and tools are from a variety vintage stores and malls.